(BEIRUT, LEBANON) — At the heart of the Middle East and the crossroads of three continents, Lebanon is where the East meets the West. A convergence point of trade routes for thousands of years and a unique cultural and religious melting pot, The Land of the Alphabet is rising again as a regional and international hub for trade, finance, services, culture, and tourism. In addition to a free-market economy based on a long tradition of government-supported liberalism, a sophisticated banking system, a developed legal framework, a superbly skilled workforce, and an exceptional lifestyle, Lebanon offers a large number of investment opportunities in all sectors of the Lebanese national economy. IDAL, the Investment Development Authority of Lebanon, is the sole public agency responsible for promoting investments in Lebanon, identifying and marketing opportunities, guiding international companies to establish prime business positions, and assisting investors in accessing a wealth of untapped economic potential. Lebanon’s location on the crossroads of three continents — Europe, Asia, and Africa – has long influenced the tiny Mediterranean country’s unique cultural and economic history. Drawing on unique interactions with Babylonians, Phoenicians, Romans, Byzantines, and Turks, Lebanese economic traditions have urbanized into a unique liberal position at the center of the Eastern Mediterranean. Based on a long tradition of liberal investment policies, free enterprise and private initiative are the drivers of the Lebanese economy. Lebanon also boasts a strong laissez-faire commercial tradition. With a free foreign exchange market, full currency convertibility policies, and no restrictions on the inward or outward movement of capital, Lebanon has an ideal banking structure for conducting business in the MENA region. Lebanon offers investors a wide array of investment opportunities in all sectors of the economy, especially in tourism, agriculture, and energy. Furthermore, Lebanon represents a point of entry to a large regional market. With maximum tax rates of 15% for companies and 20% for individuals, Lebanon’s fiscal charges are among the most moderate worldwide. Lebanon’s workforce is well educated and multi-talented. Skilled labor is widely available, yet at moderate fees. According to the World Bank, 70% of the population generates an annual income of less than USD 10,000. With state-of-the-art telecommunications, expanding port facilities, and an ambitious road rehabilitation program, Lebanon’s infrastructure is quickly becoming one of the best in the region. Poor mobile communication systems allow for economic possibilities to grow the emerging market. Thousands of years of history, optimal climatic conditions, a very rich culture, and a vibrant nightlife justify Lebanon’s “Pearl of the East” surname. 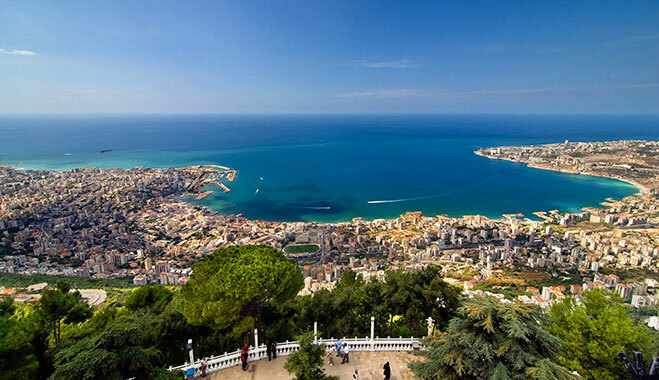 The Investment Development Authority of Lebanon (IDAL) is one of the most comprehensive programs in the MENA region which aim to retain investments in Lebanon. IDAL’s “One-Stop-Shop” Service offers investors a fast and seamless way to obtain the official permits and licenses needed to implement their projects. All rights reserved to the initial publisher for lebanese examiner.